The winners of our 2011 Kong Dental Competition have now been selected! Congratulations to our five winners Janelle Dowton, Amanda Robinson, Paul, Carly and Neal Salan. 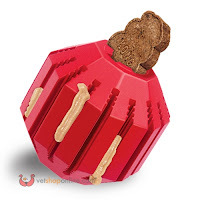 You have all won your pet a Kong Dental Prize Pack each including a Kong Stuff A Ball and a Kong Stuff 'N Paste. Thank you to everyone who entered the competition, we had so many great entries. Keep watching our VetShopAustralia.com.au Facebook page for more chances to win some great prizes. Congratulations winners. Can we see the winning entries?